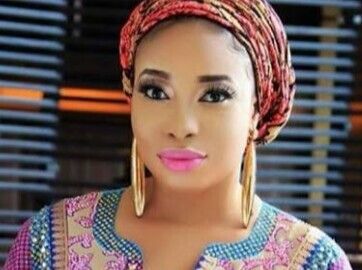 Nollywood actress, Lizzy Anjorin, known for her role in Yoruba movies has revealed details about the family of Big Brother Naija housemate, Tobi. 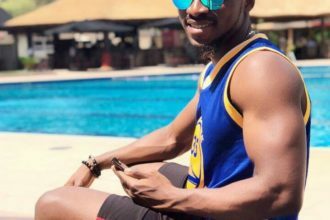 The actress in a lengthy post on her Instagram page revealed that Tobi’s parents are very rich and that Tobi is not a Yoruba demon as perceived by viewers. According to her, she owes everything she has today to God and Tobi’s mum, Mrs Bakre. Here’s what she wrote: “Hey. Egbami ke!!! 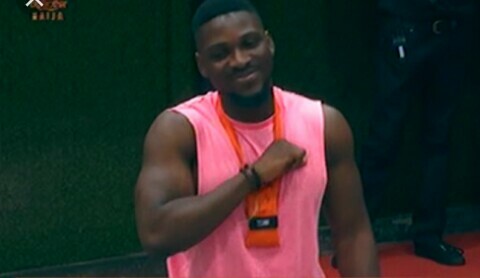 Allow me to expose Tobi Bakre of BBNG. He is a banker, he acquired Bsc @ age 19. When am talking, he hardly raise his head to look into my eyes,Very humble and respectful. I swear, Tobi will be the last person I could ever imagine to see on screen. Pardon me, hustle neva gree me enjoy most of the nice screened programs. I was scrolling through my IG handle and I saw my own Tobi Bakre in BBNG HOUSE. The most evil thing you can do is to be praising the good deed of your Godsent,after they have died. Allow me to tell you who Tobi is. “Tobi’s mum was my account manager years back, she entrusted millions in my hand for business and she also introduced me to nice customers that would purchase it. Tobi’s daddy gave me his multi-million naira mansion for film shooting for good 4 months to shoot without collecting a dime instead he gave me more money. Apart from that,Anytime i visit Agò-ìwoye tobi will vacate his room and stay downstairs. During my Owo Nairabet movie premiere, I swear to God, Tobi’s mum came with 30 powerful dignitaries that blessed me with..it is only Tobi’s dad that celebrate my birthday twice in a year. Dad yaff double stored my BD date. “There is no way I will write my success story without mentioning Mrs Bakre, she treated me like her 1st child and her husband will call and say “Lizzy Anjorin, its been long I settle you. Check your account and manage that token for the weekend. “Funny enough, Mr & Mrs Bakre always treat me like a diamond in the sky. I am saying it boldly that what I have become today in business is through the help of God and Mrs Bakre. Irony of life, when Tobi’s parents met me. They fell in love with me..Who would have thought any of their children would be on screen? Mr & Mrs Bakre each time you put smile on my face, I say to you…your children will be celebrated all over the world. Tobi win, win or the other way round. I know one day you will rule this country cos you are born to rule. For the sake of thousands of people your parents feeds every week in AGO -IWOYE, your parents good deeds will always pave ways for you where ever you go. please, let’s make Tobi Bakre win on BBNG…..
Tobi Bakre is a complete undiluted yoruba angel”. 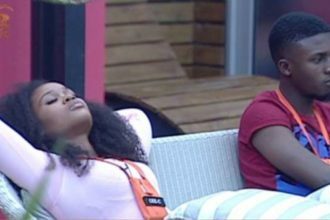 “People have being complaining about tobi and cee cee …trust me “tobi” cannot hurt,i think we should all appreciate tobi for being a Yoruba Angel not Yoruba demon …Tobi emulate a wonderful caring spirit from his father..people saying Tobi’s parent are rich he doesn’t need money .i think we should not allow hate and jealousy to ruin our life…we are to love people that deserve love ..we should embrace people that render help to the society..